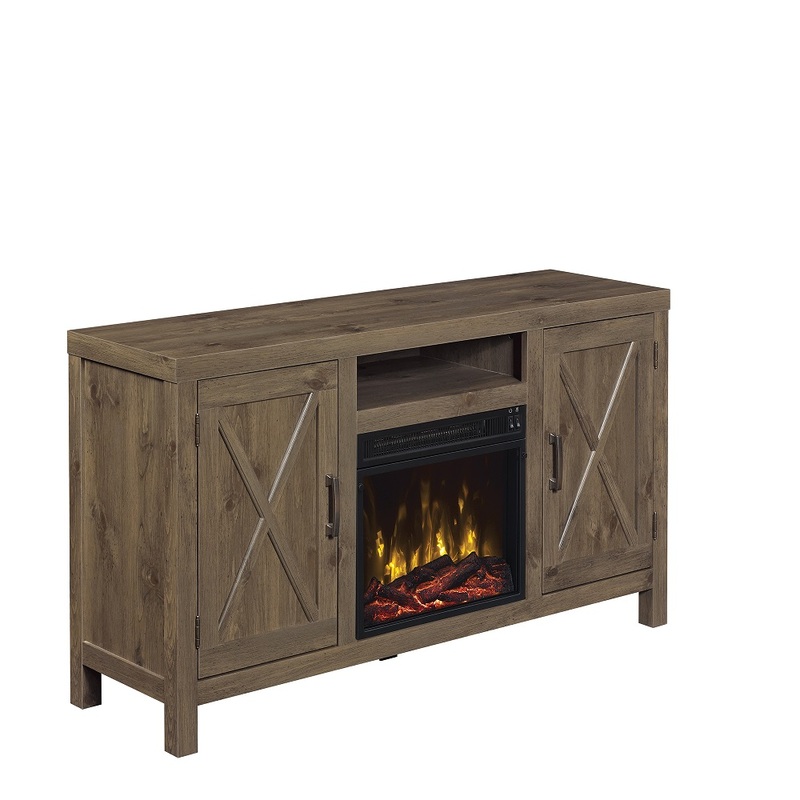 Transform your living room with this charming TV stand and beautiful electric fireplace. The elegant Spanish Gray finish with Antique Nickel hardware and Parsons leg design make this transitional piece perfect for any living space. The open center media shelf and side cabinets with adjustable shelves provide storage for media components and entertainment accessories. The wood cabinet doors feature an eye-catching X mullion design. 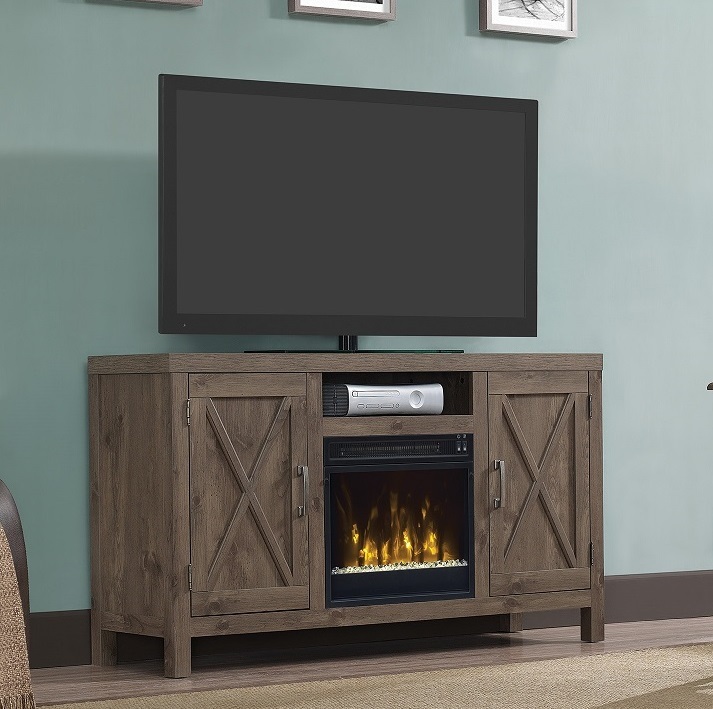 This TV stand accommodates most flat screen TVs up to 55” and up to 55 lbs. 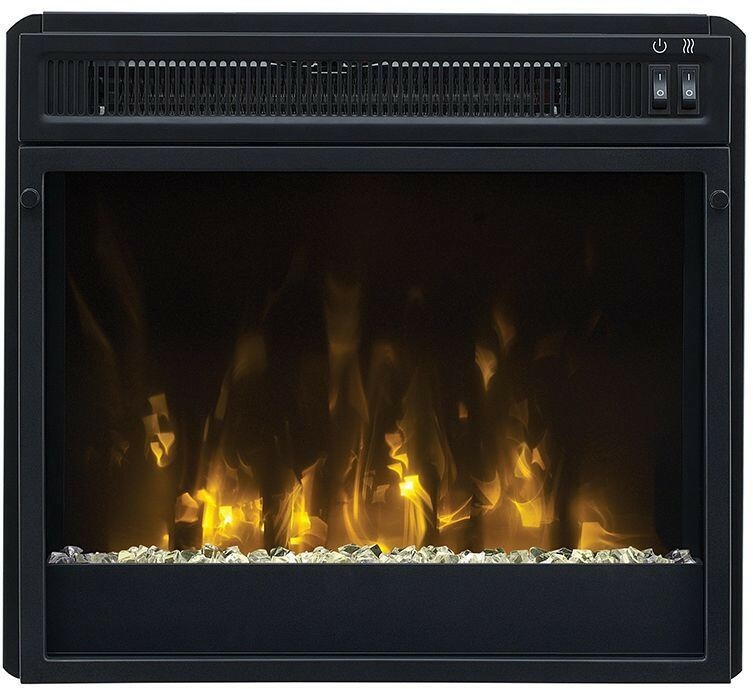 This stunning electric fireplace provides supplemental zone heating for up to 400 square feet. 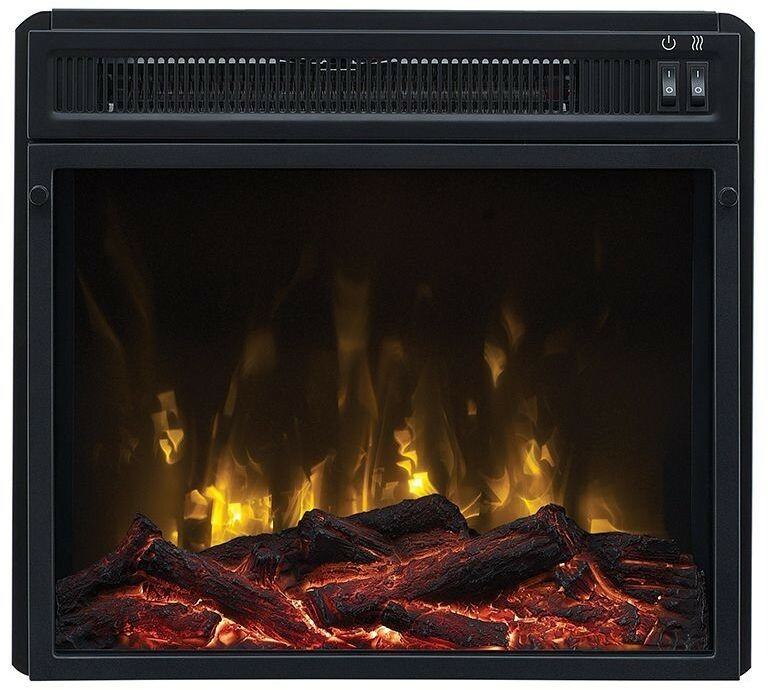 You can activate the flame effects with or without heat to enjoy a gentle rolling fire all year long. 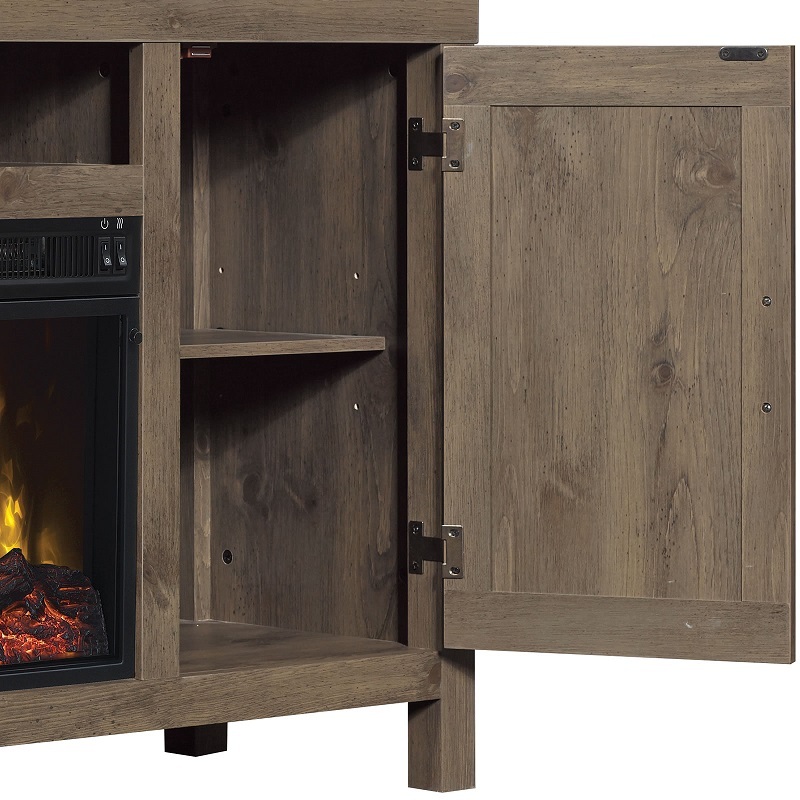 Choose between included contemporary fire glass media or a realistic log set and ember bed to showcase the beautiful flames. 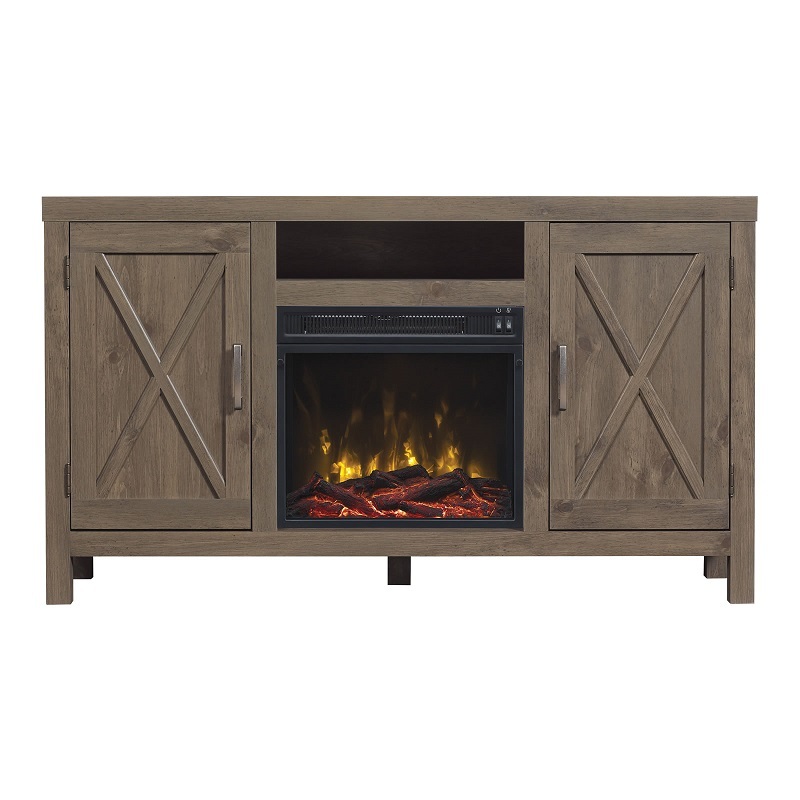 The 18” ClassicFlame slim line insert ships as a set with this TV stand as a small parcel.